Limit monitor with tare function KM 40two measuring ranges, 0...10V and 0(4)...20mA with taring threshold adjustment by 3 decade switches high accurate three way separation power supply 24VdcThe limit monitor is designed for the standard signals 0...10V and 0/4...20mA. DIP switch S5-1 must be closed to switch over the operating mode when using the current input.The limit value of 0.1...99.9% of the measuring range is specified using three decade switches in the front of the unit. 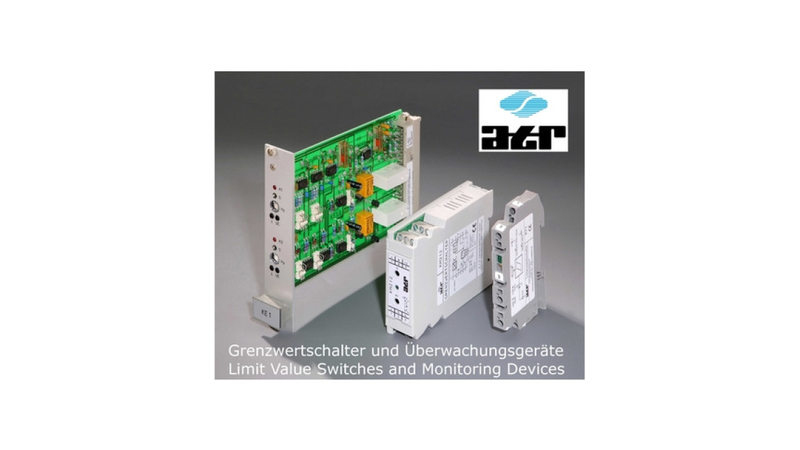 A reference is not required as the operating point can be read off directly from the decade switches.The switching hysteresis can be set in 10 steps of 2...45% using a fourth rotary switch. Voltage/current measurements and operating delay are selected using easy-to-operate DIP switches (S5).